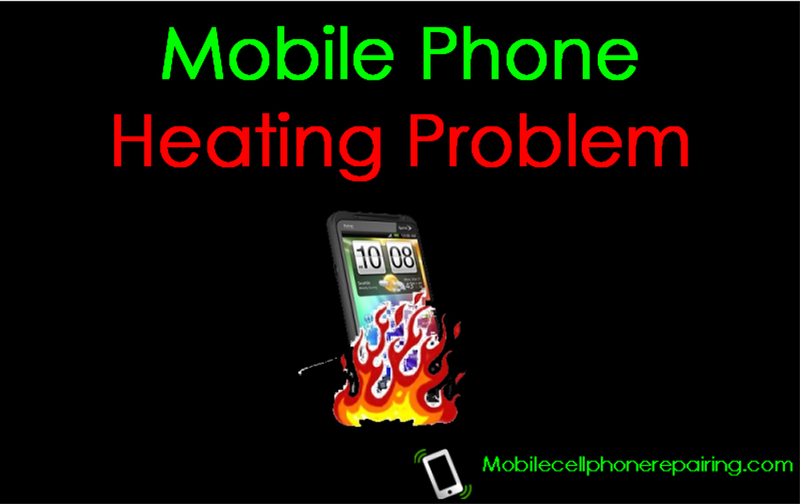 Mobile Phone Heating Problem and Solution – Is your mobile phone getting too hot while charging or playing games or using? Learn how to diagnose and fix this heating problem. There are situation when a mobile cell phone of any brand including Samsung, Nokia, LG, iPhone, Micromax, China Mobile Phones etc may get heated. This can happen inside the mobile phone of on the body on the mobile cell phone. There can be different reasons and symptoms of this heating problem. Different reasons will have different solutions. Check if the mobile phone gets heated when a particular application is running or the heating happens always. Check the heating point and running application status with normal status. Upgrade the mobile phone software / operating system to the latest OS. This may solve the heating problem. Many smartphones like Samsung Galaxy series, Nokia Smartphones, iPhone and Blackberry and even China Mobile Phones get heated if too many applications are running at the same time. This is because the processor has to do too many jobs at the same time. Close all the applications and try to run 1 application at a time to avoid mobile phone heating problem. If heating happens then there is some internal hardware problem. Most Mobile phone service centers and mobile phone repairing experts like me will change the PCB or Logic Board to solve the heating problem. You can get it from Lava itself. I don’t think any other supplier will be able to provide it. It is better to Buy another Phone of some Trusted Brand. Lava is Poor. my phone is j5 2015. my display broke and i replaced it. There is shorting somewhere. Get it checked. It will come out. Apply Flux and then give Heat with Hot Air Rework Station and Pick up using Pick-Up Tool. Sir, I done mobile repairing course 4 years ago not completely 1-to 2 months only for some seriuos problem but do some basic like ringer mic only if I want to open mobile repairing shop what should be I knowledge about mobile repairing plz suggest. Work under any Experienced Technician for about 6-12 Months and then start your own business. Heating Problem is mainly due to less RAM and heavy Usage. If your RAM and Usage is Good and still there is heating problem then there could be Shorting Issue on the PCB. No. There are several reasons for overheating. Just use the phone to its capacity. Thats all. There could be shorting on the PCB. Get the PCB Checked. Does process 635 Snapdragon or CPU speed 2.2 Gzh reduce heeting problem and ink battery life ? No. There are other reasons for heating. You can visit your local market and check for the component or get it from the Authorized Service Center. This is because the Game uses too much resources. All you can do is Update the Software and Check. There is nothing else you can do. You should always Buy Phones that are Tried and Tested. Heating is a common problem. Do not use heavy apps. In fact, you have bought the WRONG Phone. Why do you buy cheap and useless phone. I have bought an android handset a few days ago. The handset gets heated after some time of usage. Can it affect the function of LCD or Touch panel of the handset? How does temperature affects the longevity of LCD & touch panel of a handset? No, Heating will not impact usage. It can sometimes get handed. Remove all unnecessary apps. I Use Redmi Note 4. It is Awesome Phone Under Budget. You can also get Good Discount on Festive Sale. I have got Samsung j7 mobile phone..it is getting heat whenever I opened internet.and after 5 to 10 minutes..it automatically close some apps and it cannot open other apps too..plus battery percentage also suddenly reduce to 12 to 15 percent. I have a moto g4. when i use net some times mobile has over heated. and charging time also..
Serious problem. Get it checked at service center. Pls how do I upgrade to d latest OS? any specific model.. esp which dont get heated on 4g usage. Uninstall all unnecessary apps and do not use the phone while charging. If we change the board it l solve??? Changing the board will not solve the problem. Make sure to close all the running apps when charging and do not use the phone while charging. Till what temperature the phone can use??? Little higher or lower thank normal home temperature. I have a Nokia 730 Lumia, phone suddenly heats up while using internet. Issue was not there before just happening in these 3-4 days. Most phones get slightly heated when charging. Nothing to worry. My mobile is micromax yu yureka it is over heating problem what should I do. . Your phone has serious problem. Please take it to Authorised Samsung Service Center. I have already uploaded a PDF Book on DIY Mobile Phone Repairing.